(VEN) - Vietnam recently unveiled the logo of its national rice brand, the country’s first attempt to brand this product since entering the global rice trade 30 years ago. Authorities hope the logo will signal a turning point for rice exports as farmers and producers struggle to overcome challenges posed by climate change, trade tensions and fierce competition. The branding is expected to strengthen the domestic rice sector’s confidence in its products and to establish relationships with distributors and consumers around the world. Rice has long helped Vietnam ensure food security. Shortages of this staple in the past resulted in hunger. 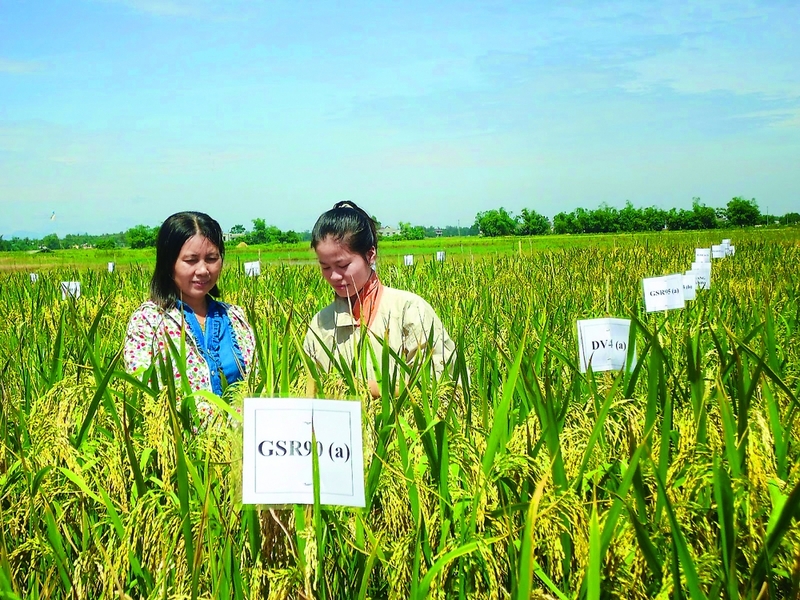 In recent decades, the Vietnamese rice sector has developed strongly, not only meeting domestic demand but also turning Vietnam into one of the world-leading rice exporters. Vietnam exports its rice to about 150 countries and territories. In 2018, Vietnam exported about 6.15 million tonnes of rice worth US$3.2 billion, up six percent in volume and 20 percent in value compared with 2017. For the first time ever, the price of Vietnamese rice surpassed that of Thai rice. Despite these satisfactory export results, Vietnamese rice is not well-known in the global market, often being sold under other brand names or without a brand name. In 2017, the Ministry of Agriculture and Rural Development (MARD) coordinated with other ministries and sectors to organize a logo design contest for Vietnam’s national rice brand. The winning logo chosen by the MARD from among some 500 entries has been certified by the National Office of Intellectual Property of Vietnam to be protected domestically. The World Intellectual Property Organization has also granted it certification according to the Madrid system. “The logo features an ear of rice with rice leaves shaped in the image of a flying Lac bird that is known worldwide as a symbol of ancient Vietnamese civilization. The stylized rice leaves allow one to imagine a rice field that is associated with Vietnam’s wet rice cultivation,” said Nguyen Quoc Toan, Acting Director of the MARD’s Agro Processing and Market Development Authority. Pham Thai Binh, General Director of the Trung An Hi-tech Farming Joint Stock Company, believes the logo will help domestic and global consumers identify Vietnamese rice products. “The logo not only contributes to increasing the value of Vietnamese rice but also helps strengthen the position of Vietnamese farm produce brands in the global market. This will create stable incomes for farmers and increase the export value of agricultural products,” said Le Ngoc Liem, Chairman of the Member Council of the Long An Foodstuff Company Limited. However, in the opinion of experts, to promote exports, domestic rice businesses need to take the initiative in research and development of high-quality rice varieties and promote linkages through value chains, while at the same time expanding the processing, preservation and production of rice products. white fragrant rice, and white glutinous rice that meet national standards will be eligible to use the logo.